Home / All FAQ / Account FAQ / I am having download trouble – HELP! 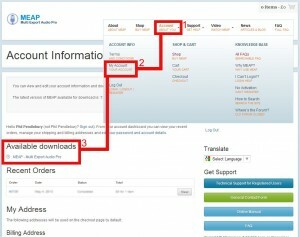 Buying and downloading MEAP is a simple process of adding MEAP to your cart. Use the Buy MEAP Menu Item. You should receive a mail telling you that your payment has been verified. You should then go to the My Account section. 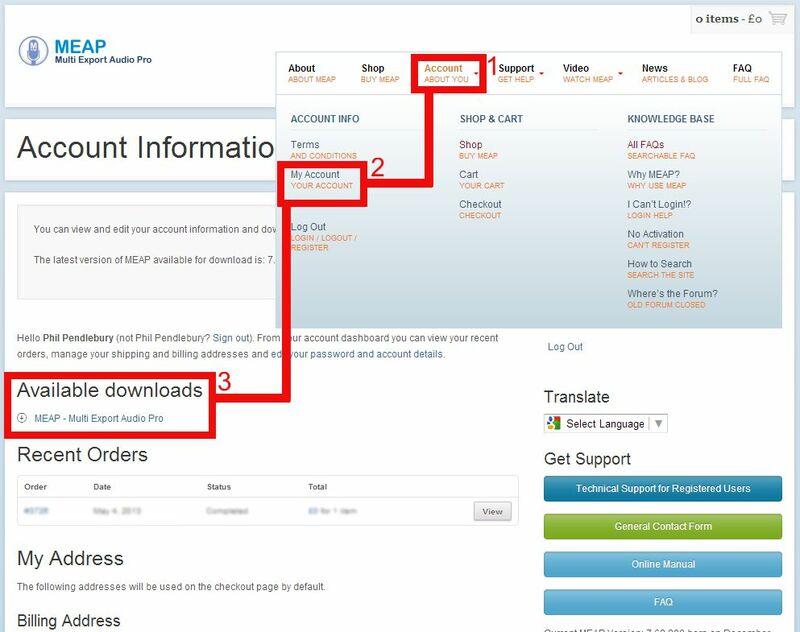 Make sure you are logged in to the account you used to purchase MEAP. You should then see the download link. You can also see the download link in the email you received and at the View Order area. Be sure you are logged in. You must be logged in for the download to work. Try using an alternative browser or updating your current one. Check cookies and clear them if required. Windows Firewall is fine but other firewalls or security apps may block the download. The download will NOT WORK WELL with a download manager. If the above does not help please send me a message, including your user name and order number (not password). Previous post: Is there a MAC version of MEAP? Next post: How do I buy MEAP?